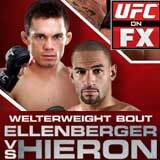 Review: 2012-10-05, the second fight between Jake Ellenberger and Jay Hieron has not been particularly good: two stars; in their first fight Hieron defeated Ellenberger by unanimous decision (June 3, 2006). Jake Ellenberger (27-6-0) entered as the No.6 welterweight in the world while Jay Hieron (23-5-0) entered as the No.16. 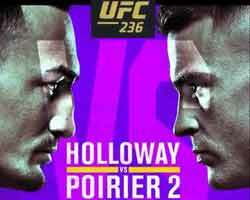 Ellenberger vs Hieron 2 is on the undercard of Travis Browne vs Antonio ‘Bigfoot’ Silva (UFC on FX 5). Watch the video!